An al-Shabaab fighter has revealed new details about Americans and foreigners fighting for the Somali terrorist organization. A recently released essay shows that the group's idealistic self-image hasn't just attracted young Americans, but has crossed the boundaries of nationality and age. "Some of the members in our battalion migrated from as far as Australia, while others left the comfort lives of London and Minneapolis. Some were as old as sixty years, others barely reached eighteen," says al-Shabaab fighter Abu Yaser al-Maqdishy in "The Path of Departures – Reminiscing [about] the Martyrs of Somalia." The document has also attracted some negative attention in jihadi forums, particularly when jihadists became aware about a Middle East Media Research Institute (MEMRI) update about the essay. One writer in the popular Somali forum alqimmah.net thanked the writer of the document "for all the efforts you put in to support our Omah [nation/Ummah]." But he reminded readers that "the Kuffar [disbelievers] are out there, so be careful in your steps," a caution for the writer not to reveal too much about the group's recruitment efforts. The essay is primarily oriented at recruiting replacement fighters for al-Shabaab, which has suffered extensive losses to defection and running battles with government forces. Like many al-Shabaab materials, it uses the voice of a warrior to promote the glories of battle, as well as the group's ultimate goal of establishing a new Islamic Caliphate. "You my dear believer might be that very person whom we are searching for. Due to the difficult state that our Ummah is facing, any contribution for Jihad and Mujahideen to stop the attacks of our enemies is vital," Maqdishy says. Recruitment efforts play on the idea of defending Muslims and promoting the Caliphate idealized version of society. Coming from high-ranking American recruits like Omar al-Hammami, an al-Shabaab leader who is heavily involved in recruitment and military training, the calls to violence have helped increase recruitment. Al-Shabaab has been at the forefront of jihadi recruiting in the West, even in comparison to branches of al-Qaida. The organization's recruitment of Americans will be the subject of the third hearing on radicalization in America's Muslim community to be convened by U.S. Rep. Peter King on July 27. On Monday, 26-year-old Minneapolis man Omer Abdi Mohamed pled guilty to being one of the group's American recruiters, helping raise money and arrange travel to allow several men to join al-Shabaab's ranks. 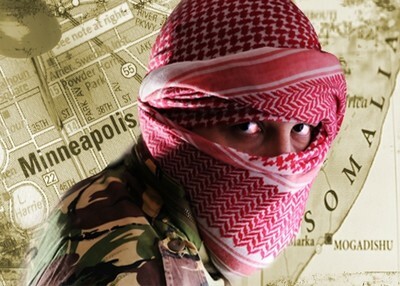 More than 20 young men from the Minneapolis area are believed to have gone to Somalia to join al-Shabaab's jihad. Recent reports by a Kenyan journalist indicate another wave of recruits may have left the American Midwest for the impoverished and war-torn African country. Somali youth and aspiring jihadists have also come from as far as Sweden, Canada, Kenya, and Denmark. According to Maqdishy, it's the creed of jihad and dying for honor that has brought Muslim men and women from all over the world. "This is made possible by a creed deeply rooted in the heart of every believer and fighter for the sake of Allah," he says. "It is a creed that convinces its carriers' that since death is imminent and sooner or later everyone shall taste it, then why not die with the honor of martyrdom while serving the Religion of the Most High?!" It's a belief that appears to resonate with many, particularly young male members of the Somali Diaspora. "One of them was a teenage brother who left the opportunity of enjoying his youth in the pleasures of the United Kingdom," Maqdishy writes, about a young man who became a military leader on the battlefront. "He decided to seek the pleasure of Allah, and His Majesty's [Allah's] appreciation for his struggle, thus he migrated to the Somali-Jihadi arena, got trained, fought and then got killed in the service of his Most Beloved; Allah, the Glorified and the Exalted." The document points out that the group hasn't just drawn young people. "Another pioneer on that day was a father of three kids in his forties who was a member in my battalion. He left his comfortable life in America only to start another life in the Everlasting One." The group has also attracted non-Westerners and others outside the Somali Diaspora. "A well respected Recitor of Qur'an left his studies in Cairo to uphold the Qur'an in the daily lives of people." "All of those and many more before and after them, paved a way for the generations behind them, a Jihadi way of life, full of martyrdoms, of which I refer to in this essay as 'The Path of Departures'." The essay's bravado belies al-Shabaab's recent extensive losses. The group's extremist interpretation of Islam has prompted large-scale defections and animosity from the local population. Al-Shabaab's violent practices against wavering members and supposed criminals have led to high levels of desertion. Replacing local recruits with international ones represents a long-term strategy, and has drawn dozens of Western and East African fighters. The document appeals to English-speaking youth to keep the organization functioning, and to become its next great leaders. "As we have lost some of our revered brothers, leaders and scholars in the last decade due to the barbaric new wave of crusaders, and while many of their positions are covered, their replacements are greatly needed," Maqdishy says. "We firmly believe and we are convinced by history again and again that despite these losses of great men, even greater leaders are made in the battlefields for the coming future." Those who are not willing to join the battle are encouraged to invite their friends and to give money. "Never sit idle! Read and write, and spread everything that relates to our Jihad. Learn, train and attain all that can be of assistance to our honorable cause of raising the banner of "La ilaha illa Allah [There is no god but Allah]."